The following are prayer issues that require your immediate attention. “For the people of the world, you must watch and learn from the nations that have begun to turn themselves away from the devil and his new world order, for these nations are leading you to challenge the plan of the evil one. Now for the first time in your lifetimes, you have chosen leaders in your executive and legislative branches who have the motivation to usurp the power from the dark forces and return your nation to a republic that stands within the Light of your Father in in Heaven, for His Son is intervening now in the affairs of your freedom and democracy to remove the evil one and his minions, who have been controlling and suppressing your interests for decades now. Alas, the opportunity is now for you to achieve great prosperity and freedom if you pray powerfully and assist your chosen leaders who can restore your nation to its former greatness. However, you must be aware now that the evil one and his minions are thrust into chaos and confusion by recent events. At the moment that they thought the evil one had further secured his dominion over all of you, much to their surprise, goodness has prevailed. that great hatred and anger seems to have possessed so many of your brothers and sisters that they are not clearly thinking in their desperation to explain to themselves why they have lost, for they are living under an illusion that their leaders were the right choices for them, for they were deceived by the old ways, and so they, therefore, cannot see the direction of your country today moving toward the Light of the Father in Heaven. Falsely accusing, with no proof, that the Russians hacked the 2016 election. Subsequently expelling 35 Russian diplomats based on no proof of wrongdoing. The suspected CIA assassination of the Russian ambassador to Turkey. The suspected CIA take down of the Russian military plane. “The NATO war preparation against Russia, ‘Operation Atlantic Resolve’, is in full swing. 2,000 US tanks will be sent in coming days from Germany to Eastern Europe, and 1,600 US tanks are deployed to storage facilities in the Netherlands. At the same time, NATO countries are sending thousands of soldiers into Russian borders. According to US Army Europe, 4,000 troops and 2,000 tanks will arrive in three US transport ships to Germany next weekend. From Bremerhaven, US troops and a huge amount of military material will be transported to Poland and other countries in Central and Eastern Europe. Even though NATO is clearly preparing for war against Russia, Ben Hodges, the US-European military commander accused Russia of being the ones preparing for war. Hodges listed the Russian invasion of Ukraine and the illegal annexation of the Crimea as the two reasons why the US is concerned. Obama needs to speak to his theater commanders more frequently as they cannot even get on the same page with regard to their reasons for war. Obama is only speaking directly to a hacked election for the reason, while Hodges blames geopolitical events. In another article on December 15, 2016, RT reported that”the development of Russia’s strategic nuclear forces in 2017 will be maintained at a level that would guarantee the containment of any aggression against the country,” said Valery Gerasimov, Chief of Russian General Staff and Deputy Defense Minister” This completely with what one of my sources told me a week ago when he said that Putin had moved tactical nukes near the borders of Poland and Lithuania. It is quite clear that any military incursion into Russian territory will be met with a nuclear response. Please note that January 20th, the date of the anticipated completion of the deployment of OS troops to the Russian border is conveniently on Inauguration Day. Of course, the Main Stream Media is silent on all of this and they wonder why their ratings are in the toilet. The United States is outstanding at provoking war and making it look like it is the other country’s fault. One case in point has to do with the conduct of the US military in 1848. There was a border dispute in Texas between where the border would be located. Just like in Eastern Europe, both sides moved military forces. When the US-led Zachary Taylor forces, along with their horse patrols which were sent at full gallop toward the Mexican encampment, the Mexican opened fire and killed seven Americans. This became the provocation for the Mexican War which resulted in the US obtaining the American southwest. History is repeating itself and there only needs to be the slightest provocation. You can bet that the Russians will never allow the full consolidation of troops to be amassed at their border and that they will be inclined to act accordingly, which means to attack the NATO/US forces before they are fully in place and operational. Three military sources, all confirmed fears that Putin would be a fool to let these forces complete their consolidation on his border. Would you not agree that World War III is much closer than most realize? If you have stopped prepping, you may wish to resume because this could be all over within two weeks and the hostilities could commence at any time. We literally could go to bed one night in the next week and wake up to the world that has been plunged into World War III. When war is imminent, Special Operations forces lead the way with behind the scenes sabotage which almost always takes place behind enemy lines. So, when we learn that Special Ops moved into a potential war zone, it can only mean only one thing. Special ops have been sent to the Russian border. Please pray for divine intervention because if we do not have a miracle, we might have World War III. Please don’t give your consent for the coming war by doing nothing. 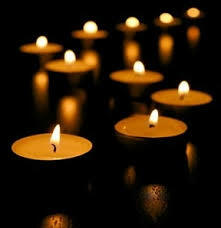 Please pray for peace. Raw, natural honey is a great storage item with multiple uses that never expire. The key to getting all these benefits is to get unpasteurized honey. It hampers food born pathogens, fights certain bacteria, and has anti-oxidants that clean up free radicals. KILLS BACTERIA: Manuka honey kills 250 strains of bacteria including E coli and MERSA. ABDOMINAL PAIN: Eat a mixture of 1/4 teaspoon ground bay leaf, 1/4 teaspoon celery seeds, and 1 teaspoon honey before lunch and dinner. 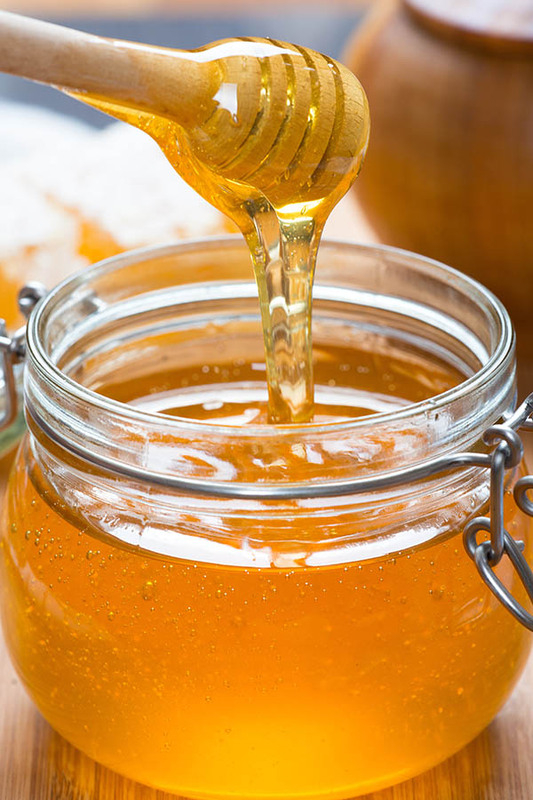 ACNE CLEANSER: Apply 1/2 teaspoon warm honey gently to the face and rinse. AIDS DIABETES: Eating honey increases insulin and decreases hyperglycemia making medication more effective. ALLERGY FIGHTER: Consume 2 teaspoons daily. It may take up to 6 weeks to work. ANXIETY: Drink 1 cup of orange juice with 1 teaspoon honey and a pinch of nutmeg twice daily. ASTHMA: Eat a mixture of 1/2 teaspoon bay leaf powder, 1/4 teaspoon pippali, and 1 teaspoon honey 2 or 3 times daily. BLOOD BOOSTER: Take 2 teaspoons daily to improve white blood cell count after chemotherapy. . 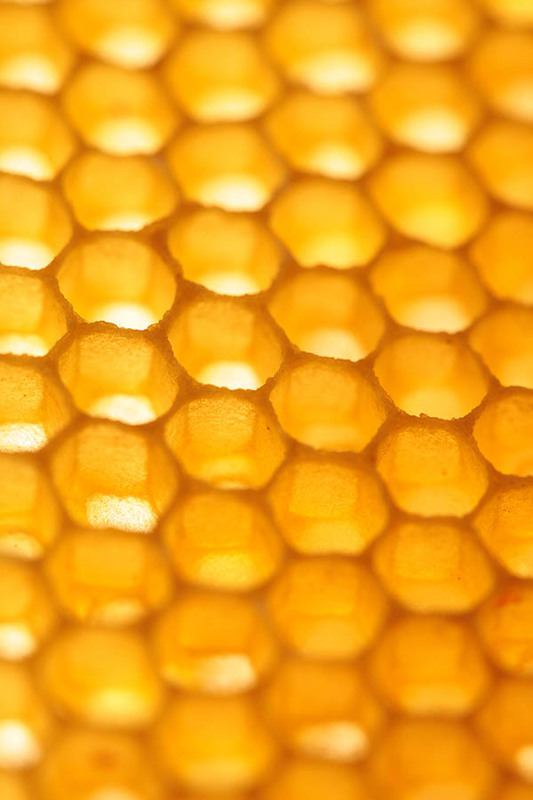 BURN TREATMENT: Cover burns with a thick layer of honey, then cover with sterile gauze. Change the dressing every 12 to 48 hours. CHRONIC FEVER: Make a tea of 1 teaspoon holy basil, 1 cup hot water, 1/4 teaspoon black pepper, and 1 teaspoon honey, take 2 or 3 times daily. CLEAR SINUSES: Take a mixture of 1 teaspoon honey and ginger juice 2 –3 times daily. HIGH CHOLESTEROL: Honey scrapes cholesterol and fat from your body. Take 2 teaspoons daily for 5 –6 weeks. INFLAMMATION REDUCTION: Raw honey has anti-inflammatory agents that can treat inflammation. 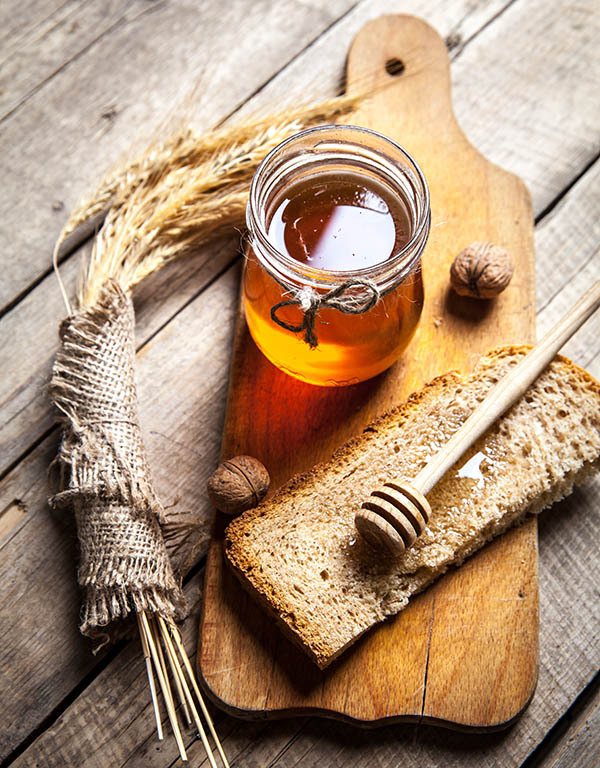 PREBIOTIC SUPPORT: Honey is full of natural prebiotics which promote the growth of good bacteria in the intestine. SLEEP BETTER: Add a tablespoon to warm milk to help increase melatonin to aid your sleep. URINARY TRACT: Honey can improve urinary tract infections due to its antibacterial properties. WOUND SALVE: Apply 3 to 6 teaspoons to a wound, cover with sterile gauze, change the dressing every 12 to 48 hours. ARTHRITIS: Honey can relieve symptoms, take 1 teaspoon of honey with 200 mg powdered guggulu daily. NAUSEA & VOMITING: Mix one part lemon juice with one part honey. Dip your finger into this and lick slowly twice daily. SUNBURN REMEDY: Ap-ply honey to sunburned skin, wait 10 minutes, then rinse. PRESERVE FRUIT: Add honey to fruit and water in canning jars. During the end times there will be three days of darkness in the whole world according to prophetic revelation given by Our Lord to M. Jahenny. It will be pitch black during the three days and there will be rainfall, mourning, agony and death. During those three days you are to stay locked in your homes. You will hear tears and groaning. 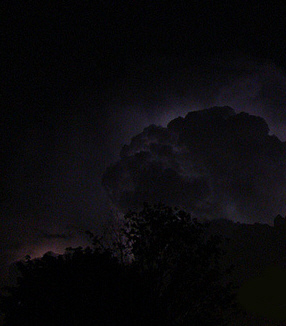 A storm will uproot trees. On coming out after 3 days, you will find corpses littering the ground. windows and lock your doors. 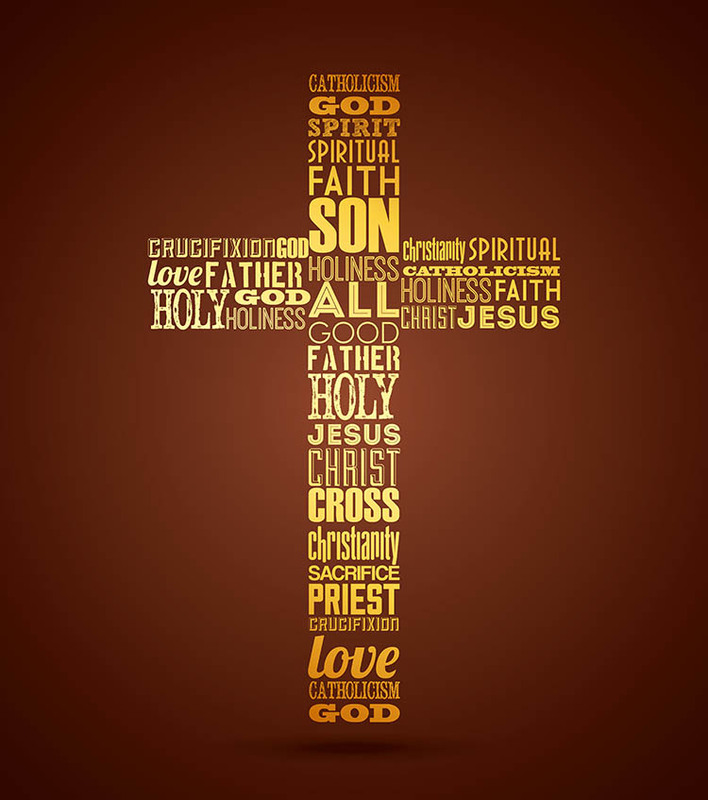 Assemble in prayer and pray the rosary in front of a crucifix or holy pictures. Beg mercy from God the Father. Do not look outside or you will die. Do not venture outside as you will not return. Those who are outside will not survive. If you are in the mountains, seek shelter in a cave. Note that it is God who heals and protects based on your belief. The teas and sacramentals discussed in this issue won’t help if you are an unbeliever. shallow water, the fish will be away from the shore in deeper water. A steep shoreline without any rocky ledge will offer no cover and be devoid of fish. A point that protrudes into deep water will give fish access to the shallows along a breakline., or change in depth. This will be productive of fish. Similarly, an inside turn which cuts into deep water, forming a breakline, will hold fish. When to fish is also important. In the early season, March or April, cold water provides few fish, so cold winters, cold fronts, and early morning fishing are not very productive. In the afternoon to dusk, 1- 5 PM, is when the sun’s rays provide maximum penetration, and when the air and water are the warmest. This is the best time to fish in spring. Mid season, June through September, the summer months, fish are most active in early morning, 4:30-9 AM and sunset to late evening., 6-9 PM. Fish are inactive during most of the day. Late season fishing, October through ice up, afternoon to evening, 12-6 PM are most productive since that is when the water is warmest. The Peterson Field Guide is my recommended botany guide for use in identifying medicinal and edible plants in the wild. This could be useful if you are in the wilderness without food or you need to supplement your food in a crisis. The Western Medicinal Plant and Herb Guide by Foster and Hobbs is the best for those living in western states. It includes great diversity in desert, shrub and woodland areas. Other botany books to consider include Native American Ethnobotany by Norman Moerman, Desktop Herbal by Brigitte Mars, and Plants of the Pacific West by Michael Moore. 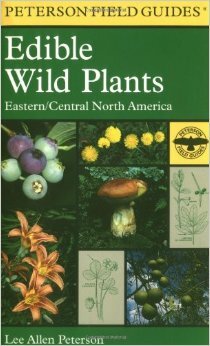 Covered botany regions include A Field Guide to Edible Wild Plants: Eastern and Central North America by Peterson and a Guide to Edible and Medicinal Plants of Britain and Northern Europe by Laurent. 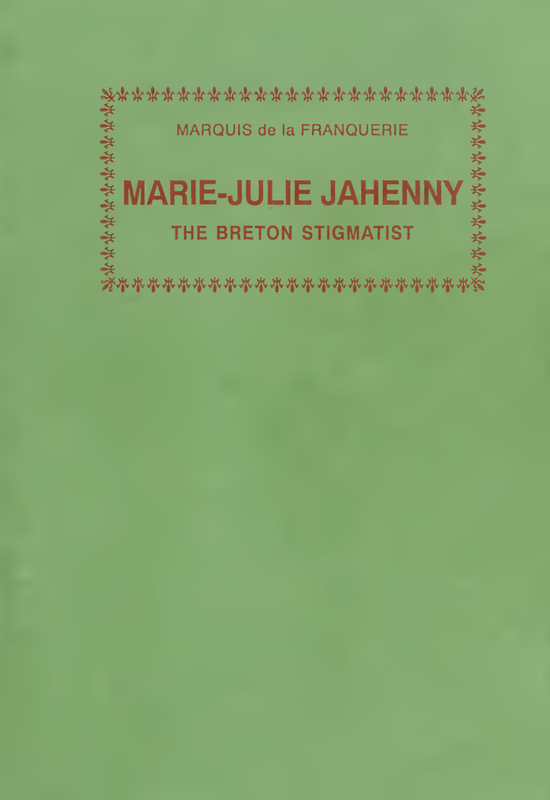 The following revelation was given by Our Lord and Lady to Marie-Julie Jahenny, who had the stigmata. 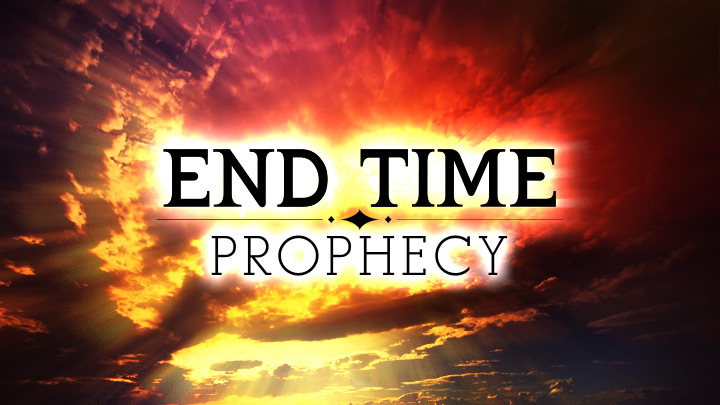 It concerns preparations and remedies for the end times and continues from Issue 5. HERB SUMMARY: Our Lord said that you should brew tea from: the herb of St John for critical conditions, chest pain, headaches and plague, Hawthorn for cholera, Violet and Yarrow for plague. PLAGUE: As a preventative measure for plague, drink St John leaves tea, one small swallow. If nausea and headache have appeared, drink violet tea in the morning and yarrow tea in the evening. Plague starts with a sudden high fever without a cold., followed by pain in the head, gut, and chest, followed by diarrhea, then sores. LUNGS AND HEART: A flu like illness will affect the lungs and heart. 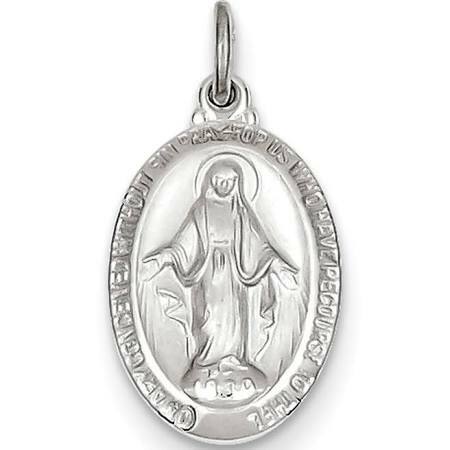 Our Blessed Mother said crush a garlic clove with fresh ginger root and add a tablespoon of lemon juice and one teaspoon of honey. Pour boiling water into a cup and wait for 5 minutes. This is to be taken once a day at bedtime. If symptoms have already appeared drink a cup 3 times a day. CHOLERA & MYSTERY ILLNESS: Cholera will be widespread and caused by poor sanitation. It causes diarrhea. The mystery illness will attack the heart, mind, then tongue, accompa-nied with intense heat. The only remedy for both is haw-thorn leaf tea steeped for 14 minutes in a covered vessel. Take this remedy three times a day. Trust in God and have faith. This cure is for 12 days total, and has two parts. 1. Say a rosary, all 3 mysteries. 4. Then drink a quarter glass of holy water. This is to be done for 7 days, on the 8th day, start Part 2. 1. Full rosary to be said again. 2. 5 Hail Mary’s and 5 Hail Holy Queens for Mary. 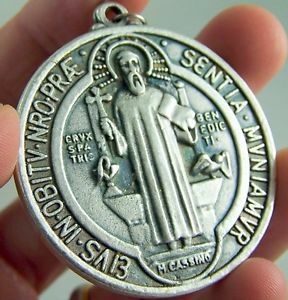 ST BENEDICT Medal is powerful in warding off dangers to body and soul. In times of storms, it has been found to be a protection. 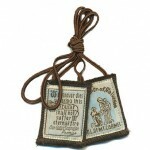 It protects against bodily afflictions including plague and other maladies. 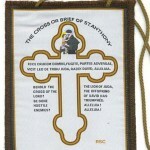 It destroys the effect of poisons and evil spirits, just by wearing it. AGNUS DEI, wax discs impressed with the figure of a lamb and blessed by the reigning Pope., relieves you of venial sins, protects from chastise-ments, and illnesses. 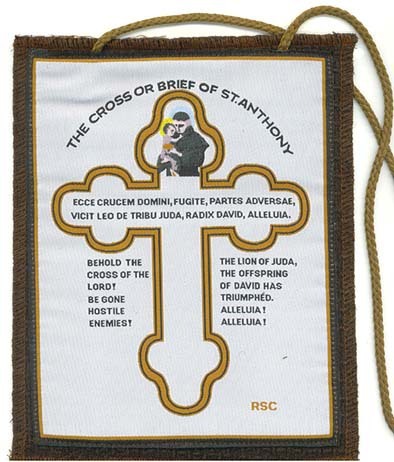 BRIEF OF ST ANTHONY OF PADUA, is an exorcism scapular which protects from demonic attacks, from sudden death, from violent storms, severe illnesses, and from earthquakes. 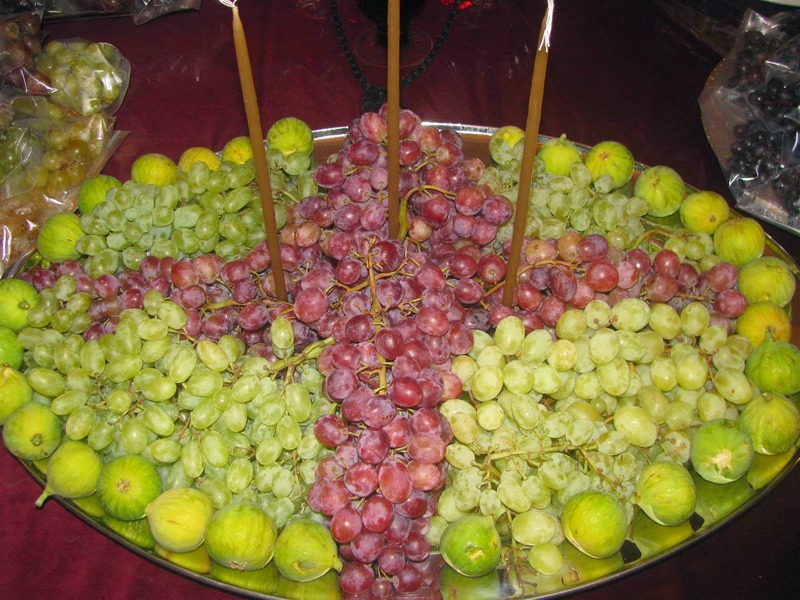 MIRACULOUS BLESSED GRAPES will sustain people of faith during the time of the antichrist. 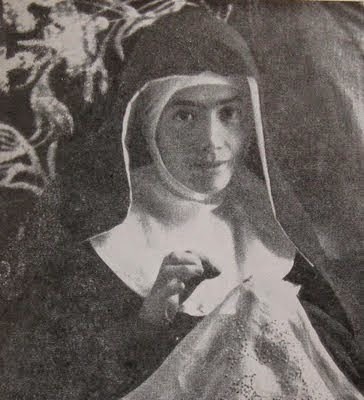 They were given by Our Lady to several visionaries and mystics including Mama Quantrini in Italy. 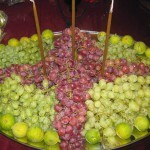 One grape will sustain you for a whole day. 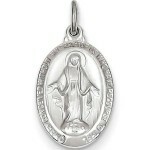 MIRACULOUS MEDALS Contact with this oval medal cures insanity, tuberculosis, typhoid, and cholera. It converts hardened sinners and protects and preserves from war, shipwreck, and accidents. 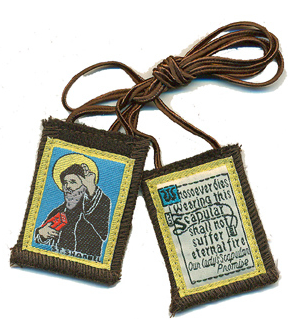 ST SHARBEL Scapular protects from possession by demons. St Sharbel Makhloof belonged to the Eastern branch of the Catholic Church. He is incorrupt and oil oozes from his body. BROWN SCAPULAR of MT CARMEL Our Lady says whoever dies clothed in this shall not suffer eternal fire. Russia is conducting a drill that involves more than 40 million people and scenarios will cover biological, chemical, and nuclear emergencies. The huge four-day “civil defense” drill has set alarm bells ringing in Washington and London, with tensions already high over disagreements in Syria. Following a breakdown in communication between the USA and Russia, the Kremlin has now organized the huge emergency practice drill – either as a show of force or something more sinister. The drill will prepare Russian citizens for “large natural and man-made disasters”, according to the country’s Ministry of Civil Defense, Emergencies and Elimination of Consequences of Natural Disaster. A spokesman said in a statement: “The main goal of the drill is to practice organization of management during civil defense events and emergency and fire management, to check the preparedness of management bodies and forces of civil on all levels to respond to natural and man-made disasters and to take civil defense measures.” An activity on that level, with 40 million civilians? Are you really convinced that is a drill? The logistics alone make me wonder if action is about to be taken. “Under President Putin, Russia has charted a dangerous course that, if it is allowed to continue, may lead inexorably to a clash with Nato. And that will mean a war that could so easily go nuclear. Talks between Washington and Moscow that aimed to broker a peaceful solution in Syria broke down completely last week. The rift between the U.S. and Russia deepened Monday as the Obama administration quit talks over the failed cease-fire in Syria, saying Moscow’s role in the bombardment of Aleppo left nothing more to discuss. 4 Russia is no longer participating in a nuclear disarmament agreement that has lasted since 2000. Russia has backed out of a deal to convert 34 tons of weapons-grade plutonium into nuclear fuel each year. In the year 2000, Russia and the United States agreed to end the arms race and each turns 34 metric tons of weapons-grade plutonium into reactor fuel every year. The agreement was re-affirmed in 2010. It was reported that Russia has positioned a battery of S300 in Syria. The specific type is said to be S-300VM, also known as Antey-2500. These are specially designed for defending against ballistic- and cruise missiles. The system will be stationed near Tartus harbor and will protect the Syrian east coast as well as the Russian fleet in the eastern Mediterranean. These also have good capabilities against attacking planes. A volley cruise missile attack by the U.S. against the Syrian and Russian airports and air forces in Syria, discussed in various U.S. papers as the start of a “no-fly zone” war, will be severely hampered by this. “It is true that one battery of the S-300 air defense systems has been delivered to Syria. It is to provide protection for the naval logistics facility in Tartus and the Russian Navy’s task force,” Konashenkov said. 6 Four different European militaries have had to head off Russian bombers. A document released by the French Ministry of defense states that on September 22nd FOUR European countries scrambled fighter jets to head off two Russian Blackjack bombers. The bombers headed across the top of Scotland from Norway, before skirting Ireland’s west coast towards France and Spain. Norway, the UK, France and Spain all sent up fighters to intercept the jets. According to the statement, the two bombers were first detected by Norway, which scrambled two F-16 jets to accompany them to the north of Scotland – where they were then intercepted by RAF Typhoon aircraft. French Rafale fighter planes then picked up the bombers after they skirted Ireland’s west coast before Spain sent two F-18 jets to intercept the Russian planes north of Bilbao. 7 President Obama seems to be deliberately trying to provoke Putin. This conflict is not just about Russia. Obama has put boots on the ground in Syria, aiding the rebels who want to overthrow the current government of a sovereign nation. Provoking Putin takes things to a whole new level. It puts millions of more lives at risk, because what is currently a civil war could easily escalate into an international conflict with two superpowers on different sides. 8 Putin is provoking right back. Recently, Russian stationed troops a mere 50 miles from the US border in Alaska. Russia has been building its forces in the Arctic due to the natural resources present in the region but the latest move takes things to a whole new level. The forces are scheduled to be in place in less than two years time. A defense meeting on Tuesday saw Sergei Shoigu, the Russian defense Minister admit that the decision to garrison troops in the area was actually made in 2015 and he confirmed the plans to push ahead with the formation of the Coastal defense division by 2018. The force will protect the coast from the Arctic in the north to the Primary Territory in the south. It is fair to assume that the targets they had in 1983 will be the same targets as they have in 2018. They are strategic United States facilities that if nonoperational would hobble the United States defense capacity. 9 Satellites are being disabled. The first step prior to invasion is to knock out communications. The US uses these satellites for military communications. If they are disabled, the military will not be able to communicate. Some say the satellites are disabled because of storms, some say China is disabling them. It is time to beseech God to prevent nuclear war. Our rosary campaign is scheduled to end on October 10, only two days away. I think we need to extend it and add fasting. Imagine if your country looked like Syria, with bombed out buildings and debris everywhere. We need to do more to prevent that from happening, so we can stand before God and say we tried our best to stop it. Let us add a day of fast to our prayers this week. If you are too ill, fast between 6 pm and 11 am. If that is still too difficult for you, offer up some other sacrifice. 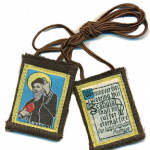 Please, please, please continue with 8 rosaries a week through the end of the month. Please note that the above information is found on the internet along with biblical prophecies found in Revelations combined with my own personal interpretation.